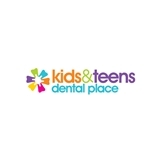 Kids & Teens Dental Place (Pearland) - Book Appointment Online! Welcome to Kids and Teens Dental Place. Dr. Cecilia Carpio and her staff provide specialized pediatric dentistry for children and adolescents in a “child-friendly” environment. As a pediatric dentist, Dr. Carpio focuses on preventive care to help each child have a healthy smile that will last a lifetime. With TVs in our treatment areas, video games in our waiting room, a parents retreat room, convenient hours and affordable fees, we strive to make your family's visits to our office effective and enjoyable - each and every time. Dr. Cecilia Carpio is AMAZING!! She has a wonderful staff that is very friendly and professional. I would recommend anyone with toddlers/teens to make an appointment and be apart of their dentistry family!! Dr. Carpio has a special touch with the kids. My son is four years old and had a lot of dental work done and he did not cry at ALL!!!! That is because he was very comfortable (kids know when they are in good hands).